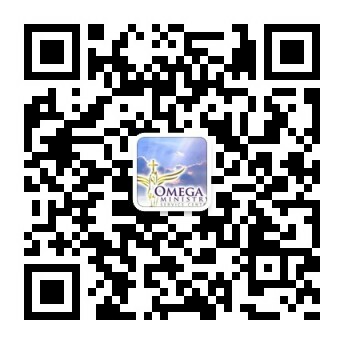 About three months ago, the clerk division of Omega Ministry just began the website for a short time. One day in the morning, when I was praying, I strongly received that we have to translate the articles of prophecy into English ones. We began to seek people who can help. We have many staffs whose English is excellent, and they are quite competent. However, who is the one God selects indeed? I saw a vision of one person. I felt that he is quite far away from us. Is he able to do the job? Is he the right person? At Taiwan time in the morning of July 13 2013, I participated the overnight prayer meeting of Omega Ministry on the Internet. Therefore, in the prayer, I received from God that I would help Chinese translation into English. I’d never thought I will be in charge of English site after a month. After a couple weeks, I came back from a short-term ministry in Taiwan. At that time, I was unemployed and didn’t know what I should do and where I should go. On the night of July 22, as usual, before sleep I prayed to God to lead my future way. At that night, I dreamed a vivid dream. I know this is from God unless I couldn’t remember the dream nor dream dreams at all. Here is my dream. 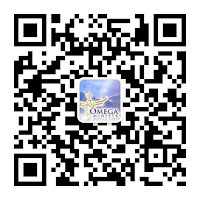 I didn’t realize this dream, so after I woke up, I shared my dream only with brothers and sisters in my church on my smart phone, but not to Omega Ministry. They thought I will have a nice job very soon. For that reason, I began to find jobs on the internet and to send my resume. On August 22, I got the email sent by the leader of clerk division of Omega Ministry, which is about the meeting on August 23 for the website. However I found that I had a job interview in the morning of that day. The interview time was at 11:30 am and the Omega meeting time was at 9:30 am. I said I got to leave for my interview in the middle of the Omega meeting. Because of the Internet connection problem, I didn’t realize completely what the leader of Omega Ministry said on Skype. However I was able to affirm that God makes me manage the English website. I was quite sure in my mind this is my impression. B.K. left for the interview and got off the Skype. I was curious that have the Lord not talked to him? Perhaps that’s not him? But the Holy Spirit asserts that it is him. In the morning of August 23, I received B.K.’s email. As I read it, joy suddenly sprang up from my heart. It’s so awesome that God speaks. In Omega’s online meeting, JC invited me to be the manager of the English site. And I accepted that according to my confirmed impression in my heart. When B.K. 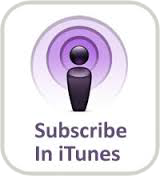 emailed us to talk about God’s leading on his personal work, I was frightened as well. This is contrary to common sense. The receiving that transcends all understanding should be proved. We cannot reply B.K.’s email that if this is from God. In my opinion, B.K. can take the full time job and do the ministry at his leisure time. Is that really God’s will? My dilemma made me so anxious. At the same time, the Holy Spirit reminded me that why not go to God and have you and B.K. enter His mercy seat. I was glad the Lord permits us. Since God permits us, in the mercy seat, God will answer B.K.’s receiving. I can also be a side witness to see how God leads his way. Now, I didn’t know how to make a choice. I really want to get one thing well done, because if I take a job or a thing, I will try my best to get it done. If I go get the full time job next Monday, they will send me to Hong Kong to be trained for up to two months. As a result, I can’t pay much effort on the English site. I also had another conflict which is, I was worried I will make my parents and brothers and sisters in my church disappointed. They thought I should take the full time job. Therefore, I told Omega Ministry about my concerns. And E.C. invited me to pray on the Internet with her to ask God’s will. While we prayed to God and waited for His will, the Lord answered indeed. He wrote a word in my mind to tell me not to take the job next week… We asked Jesus one more time that if I take the part-time job instead of the full-time one, what kind of territory will You lead me to. Thus, I saw a cauldron in a stadium and I stood in the middle of the stadium and gazed at the cauldron. After a while, when E.C. prayed again to asked the Lord the same question, the cauldron suddenly zoomed into my eyes. The Lord also revealed to E.C. about how He will lead my way of my job. It’s about the revelation of the territory I will go to if I continue the part-time job. After that, at night before sleep, I prayed Jesus to give me one more proof that if I devote all myself to doing the English website of Omega Ministry, what kind of spiritual territory will You lead me to? On Friday before the first day of employment, I called to the company and said I can’t go to work. Therefore, I gave up the full-time job. Meanwhile, my worry in my heart disappeared at one time, feeling relieved. God’s ways are higher than our ways. Even though we can’t still see with our eyes of flesh, but in God’s eyes, we who seek God will be under His destiny.